General Discussion about electric bicycles. Location: Ummm.. Started out in Victoria BC Canada, then started to move around... Oh oh. 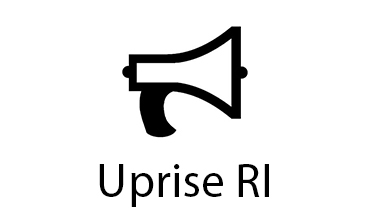 Uprise RI is a new Rhode Island news site started by reporter Steve Ahlquist. We will cover issues of social justice, human rights, ebikes, progressive politics and climate change. We are donation and advertiser based. ES changed my life (for the waaaaay better). Joined yer local chapter of EA yet? SEATTLE (BRAIN) — Rad Power Bikes, a Seattle-based consumer-direct e-bike company, has announced its 2018 bike lineup, which includes its new RadCity Step-Thru model. The new model is similar to the company's RadCity Electric Commuter but uses a new frame featuring a 20-inch step-through height and sweptback handlebars, which the company said addresses the comfort needs of many of its customers. It retails for $1,499. WATT??? (Marketing to folks watt have "NO clue"...) eg... Lord Justin? Hello??? The World Economic Forum (WEF) is a Swiss nonprofit foundation, based in Cologny, Geneva. Recognized by the Swiss authorities as an international body, its mission is cited as "committed to improving the state of the world by engaging business, political, academic, and other leaders of society to shape global, regional, and industry agendas". Starts: Electric cars are all over the media as major disrupters of urban mobility. These stories seem to consign to oblivion that electric cars take up as much space as their combustion counterparts and, arguably, take up even more of our time than guzzler cars – and that, in terms of sheer numbers, the real game changer is the electric bicycle. the real game changer is the electric bicycle... Dang. Think I've "wet my jeans" ...again. (Says north Americans, etc.)WATT? And miss watching the sports??? Last edited by LockH on Dec 22 2017 12:37am, edited 1 time in total. The Springfield metropolitan area is a region that is socio-economically and culturally tied to the City of Springfield, Massachusetts. The U.S. Office of Management and Budget defines the Springfield, MA Metropolitan Statistical Area (MSA) as consisting of three counties in Western Massachusetts. As of July 1, 2009, the metropolitan area's population was estimated at 631,982... The Pioneer Valley is the colloquial and promotional name for the portion of the Connecticut River Valley that is in Massachusetts in the United States. It is generally taken to comprise the three counties of Hampden, Hampshire, and Franklin. The lower Pioneer Valley corresponds to the Springfield, Massachusetts metropolitan area, the region's urban center, and the seat of Hampden County. The upper Pioneer Valley region includes the smaller cities of Northampton and Greenfield, the county seats of Hampshire and Franklin counties. NORTHAMPTON, Mass. (WWLP) – Northampton will see some changes to transportation around the city next spring. “ValleyBike Share” is coming to Northampton. It will turn some pedestrians into bicycle riders. The city of Northampton is the lead city for an effort to bring partially-powered bikes to Northampton and the Pioneer Valley. 140 electric/pedal-assist bikes will be available to rent at stations in Northampton. It can run 60 kilometers after every charge and can charge while someone is riding it. The bicycle was invented by Nguyen Huu Trung, a first year student in the Electrical and Electronics Engineering Faculty at the HCMC University of Technical Education. Trung’s bicycle operates with two sources of energy – solar energy and energy from electromagnetic induction. He said this is the first vehicle in Vietnam running with two kinds of energy. Trung is continuing to work on his bicycle and is contacting bicycle manufacturers to commercialize the product. It is estimated that the bicycle will cost VND5 million, much cheaper than electric bicycles available in the market. Trung’s bicycle has been praised by lecturers and friends who say it is useful in large urban areas where traffic jams occur regularly and the air quality is worsening. The latest report from the HCMC Transport Department said there are 8 million vehicles in circulation, including 7.3 million motorbikes and 640,000 cars. The motorbike boom in the country is attributed to local authorities’ failure to develop public transport. A report from GreenID found that the air quality in HCMC is better than in Hanoi, but the southern city still has 78 days a year when the dust concentration is higher than the WHO standard (25 μg/m3). The Hong Kong Economic Journal (HKEJ, Chinese: 信報財經新聞). is a Chinese language daily newspaper published in Hong Kong by the Shun Po Co., Ltd. Available in both Hong Kong and Macau, the newspaper mainly focuses on economic news and other related, usually political issues. EJ Insight is the online English language news website of the Hong Kong Economic Journal. It was launched in February 2011. The content comprises a mix of original English reporting and pieces translated from the Chinese language HKEJ. Anhui is a landlocked province of the People's Republic of China located in the eastern region of the country. Located across the basins of the Yangtze River and the Huai River, it borders Jiangsu to the east, Zhejiang to the southeast, Jiangxi to the south, Hubei to the southwest, Henan to the northwest, and Shandong for a short section in the north. The provincial capital is Hefei. The story of "Kangaroo Father", a food delivery worker who had his 8-month-old son strapped to his body as he went about delivering orders in winter, has generated much buzz in the city. The 33-year-old from Jinzhai, Anhui province, works for Ele.me, one of the biggest online food delivery platforms in China. He was also found to be using an electric bicycle that was modified to fit a rain cover. The deliveryman, Yu Shujiang, said he was forced to do so because his wife is nursing a broken leg. Moreover, his elderly family members are incapable of looking after the child and the couple is unable to afford a babysitter. While many people have expressed sympathy for the man's plight, others have criticized his actions as dangerous. According to the law, only juveniles older than 6 years old are allowed to be carried on a non-motorized vehicle provided that there is a child safety seat. In addition, modifying an electric vehicle to include a rain cover is illegal. After news of the incident broke out, Ele.me and its logistics partner gave Yu a subsidy equivalent to three months of his salary and a brand new e-bike. The company also ordered Yu to stay home and care for his wife. In order to ensure that Yu does so, Ele.me temporarily suspended his delivery account. Chen Jie, a company representative from Ele.me, said that a charity organization under the company helped raise the subsidy, and employees were sent to deliver daily necessities and the cash to Yu. "The employees conveyed our concern and explained the safety delivery standards to Yu. We look forward to having Yu come back to work at Ele.me after his wife recovers," said Chen. Yu promised that he would not return to work before his wife recovers. His wife has also said that she would return to work and share the childcare responsibilities following her recovery. "In addition, modifying an electric vehicle to include a rain cover is illegal." Huh. MarketResearchNest.com adds “Global E-Bike Service Certification Market 2017-2021” new report to its research database. The report spread across 76 pages with table and figures in it. Research analysts forecast the global E-bike service certification market to grow at a CAGR of 9.50% during the period 2017-2021. Hehe... EVen "the suits" are reading this stuff. 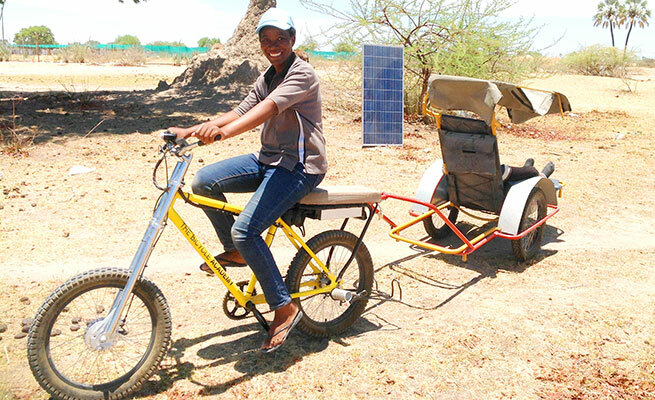 THE Bicycling Empowerment Network Namibia (BENN) is planning to start building 30 solar-powered electric bike ambulances for villages in Namibia and Zambia in February next year, that will help thousands of rural women, men and children to gain access to healthcare in medical emergencies. The fleet of electrically assisted bicycle ambulance trailers will be designed for the thick sand and thorns of Namibia and charged by solar-powered recharging stations. AllAfrica.com is a website that aggregates news produced primarily on the African continent about all areas of African life, politics, ebikes, issues and culture. It is available in both English and French and produced by AllAfrica Global Media, which has offices in Cape Town, Dakar, Lagos, Monrovia, Nairobi, and Washington, D.C.. AllAfrica is the successor to the African News Service. The Collective of European Importers of Electric Bicycles has appointed a law firm to represent its interests. This was decided at the group's first official meeting, held in Brussels earlier in the week. 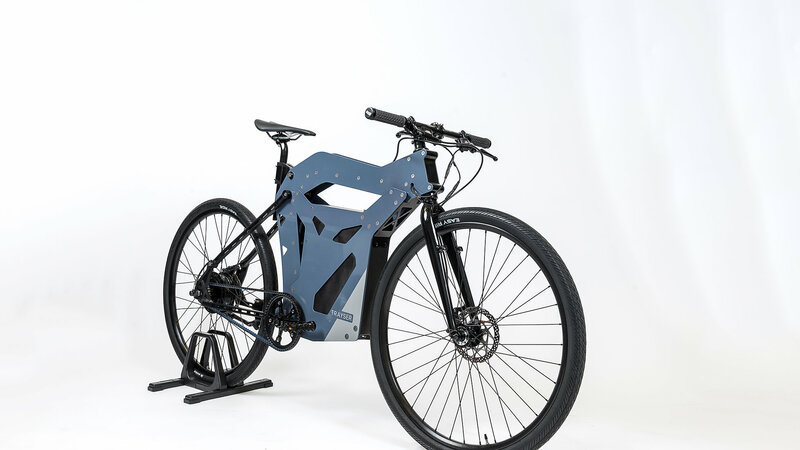 Squire Patton Boggs, an international law firm with extensive experience and success in a diversity of cases, including bicycle cases, will represent the Collective in a current dumping case against Chinese e-bike makers and any futere ones. The Collective is a group of 21 e-bike importers in the EU, including British companies such as Wisper. The importers are "working to grow the market," said a statement from the group. The Morpeth Herald is a weekly newspaper published in Morpeth, Northumberland, England. Morpeth is a historic market town in Northumberland, north-east England, lying on the River Wansbeck. Nearby villages include Mitford and Pegswood. In the 2011 census, the population of Morpeth was given as 14,017, up from 13,833 in the 2001 census. Northumberland is a county in North East England. The northernmost county of England, it borders Cumbria to the west, County Durham and Tyne and Wear to the south and the Scottish Borders to the north. To the east is the North Sea coastline with a 64-mile (103 km) long distance path. The county town is Alnwick, although the county council is in Morpeth. Two men are aiming to put Morpeth on the map when it comes to e-bikes after putting their business plans into gear. Ian Simpson, who has been running his bike repair and maintenance business for five years in the town centre, teamed up with Peter Bredael to launch the Morpeth Electric Bicycle Company. Watch this space for the Trust and The Morpeth Electric Bicycle Company working together in the New Year. KFMB-FM is a commercial radio station located in San Diego, California, broadcasting on 100.7 FM and airing a Mainstream Rock format. It shares studios with its sister stations KFMB (760 AM) and KFMB-TV (channel in the Kearny Mesa section of San Diego. KFMB-FM's transmitter is in La Jolla, California. Airwheel's invention of smart electric bicycle is a revolutionary breakthrough in the development of the industry, making people's daily life healthy and pleasurable. While, the R8 electric mountain bike is designed for the modern commuter, letting you travel in style. Corridor.pk is Pakistan’s leading regional connectivity media & communication/outreach platform, dedicated to profiling and promoting the business activities, news and views on the regionally connected business corridor across OBOR. In 2014, China initiated a massive economic development project called One Belt One Road (OBOR). North Bay Village is a city located in Miami-Dade County, Florida. As of the 2000 census, the city had a total population of 6,733. As of 2010, the population recorded by the U.S. Census Bureau was 7,137. "This is my sons favorite way to go to daycare and somebody took it away." folding electric bikes for sale for around £110. We now have 386 ads from 6 sites for folding electric bikes for sale, under hobbies & leisure. Tesco PLC, trading as Tesco, is a British multinational grocery and general merchandise retailer with headquarters in Welwyn Garden City, Hertfordshire, England, United Kingdom. It is the third largest retailer in the world measured by profits and ninth-largest retailer in the world measured by revenues. It has stores in 12 countries across Asia and Europe and is the grocery market leader in the UK (where it has a market share of around 28.4%), Ireland, Hungary and Thailand. Tesco.com is an electronic commerce website operated by Tesco. It offers a wide range of other products, including electronic goods, books, broadband and financial services. Give the kids a taste of grown-up fun behind the wheel of their own electric ride on. Our exciting selection includes luxury cars, neon-coloured quads, Disney-themed scooters, and more. Travelocity.com is an American travel fare aggregator website and travel metasearch engine. Deliveroo has announced an early Christmas present to residents of London, as it has said it will begin to trial electric scooters to cut down on noise and air pollution next year. The meal delivery company has said its riders in the capital will be able to rent electric-powered scooters and bikes early in 2018 "at a reduced cost compared to market price". Meanwhile 300 Deliveroo-branded electric bikes will be available to cyclists in the spring, which will speed up delivery times meaning riders can theoretically earn more. For the e-scooters, the company is hoping to work with an as-yet unnamed specialist producer to make the vehicles available in the first quarter of 2018. It added that these would be eligible for a government low-emissions grant, which pays for 20 per cent of the purchase price up to a maximum of £1,500. The e-bike programme is a little more adaptable. Firstly, Deliveroo is set to work with ETT Industries which will create the 300-strong fleet of branded electric bikes for spring. Riders can rent these at a reduced price directly from ETT, either daily or weekly. Secondly, Deliveroo said it aims to work with producers of a device which can be attached to normal bicycles to make them electric. Several riders have already tried them to positive feedback, the firm said, and it hoped to roll them out from May with 40 per cent off. 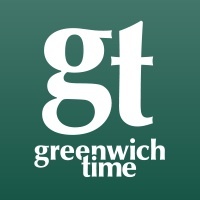 Greenwich Time is a daily newspaper based in Greenwich, Connecticut, United States. Greenwich is a town in Fairfield County, Connecticut,, United States. As of the 2010 census, the town had a total population of 61,171. The largest town on Connecticut's Gold Coast, it is home to many hedge funds and other financial service companies. Greenwich is the southernmost and westernmost municipality in Connecticut as well as the six-state region of New England. It takes roughly 40–50 minutes by train from Grand Central Terminal in Manhattan. CNN/Money and Money magazine ranked Greenwich 12th on its list of the "100 Best Places to Live in the United States" in 2005. Providence is the capital and most populous city of the U.S. state of Rhode Island, founded in 1636 and one of the oldest cities in the United States. So. And wadda `bout YOUR town?